Famitsu has released a lot of new screenshots of the Fabula Nova Crystallis games Final Fantasy XIII, Final Fantasy Versus XIII and Final Fantasy Agito XIII. Also the full names of two characters from Final Fantasy Versus XIII has been released: Noctis Lucis Caelum and Stella Nox Fleuret. The latest screenshot of Final Fantasy Agito XIII shows a battle which will have the ATB system and its possible to play co-op. The full cast of Dissidia: Final Fantasy has been leaked thanks to Suntory who is releasing Potion drinks from the game. Heroes: Warrior of Light, Firion, Onion Knight, Cecil Harvey, Bartz Klauser, Terra Branford, Cloud Strife, Squall Leonhart, Zidane Tribal and Tidus. Villains: Garland, Emperor Palamecia, Cloud of Darkness, Golbez, ExDeath, Kefka Palazzo, Sephiroth, Sorceress Ultimecia, Kuja and Jecht. Star Ocean: The Last Hope release dates! Square Enix has opened the official website of Star Ocean: The Last Hope and has announced that the game will be release in Japan on 19th February 2009 and in North America on 3rd March 2009. An European release date hasn't been mentioned. They also released the names of two characters: Faize Sheifa Beleth and Lymle Lemuri Phi. On the Tokyo Game Show that is currently taking place the guys at Gamersyde recorded the new trailer with a camera. It can be watched here. Its pretty good quality. Update: Square Enix has announced that the European release is set to 2009. It can be released in the beginning or the end, so this isn't really specific. Shame you, Square Enix. New HQ Star Ocean: The Last Hope screenshots! Square Enix has released 17 new screenshots of Star Ocean: The Last Hope, the game that will be playable for the first time at the Tokyo Game Show next week. Most of the screenshots are from in the game. The official website of the game will be launched in 6 days at the Tokyo Game Show. Good news for the fans in Japan who want to play The Last Remnant and don't have a Xbox 360 yet (and want to play it on this console). 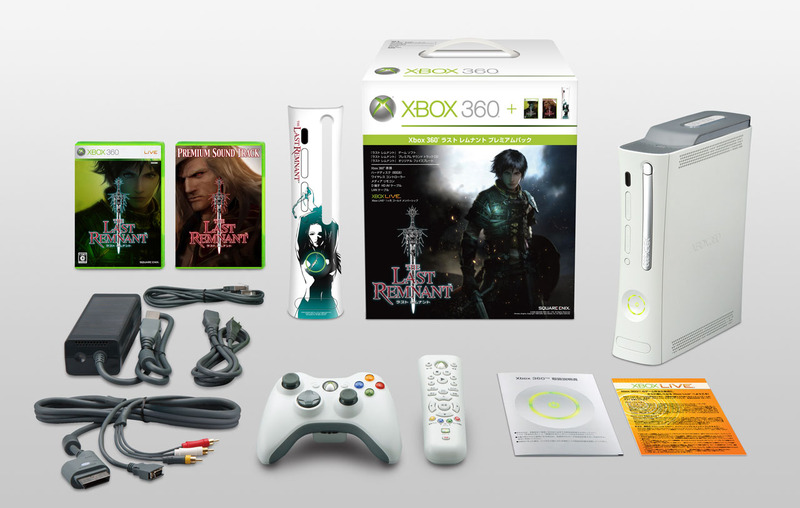 Microsoft has announced that they will release a The Last Remnant Xbox 360 premium bundle with the console, the game, the premium soundtrack and faceplate on the day of the worldwide release (20th November). The Last Remnant Xbox 360 premium bundle will get a price tag of 34,800 Yen.